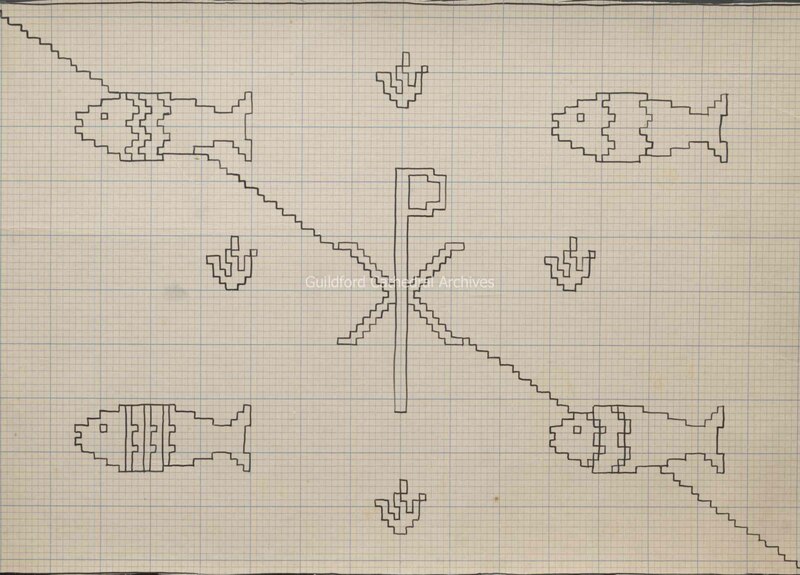 3 patterns for the Fish Kneeler, all on card. 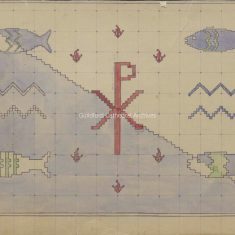 a) is a black and white copy of a pen outline on squared paper with the annotation “16¼ x 10½” on reverse, b) is a pen outline drawing on squared paper, c) is the full design coloured in watercolours, signed by Edward Maufe, with sewing annotations on the reverse. 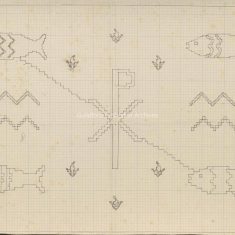 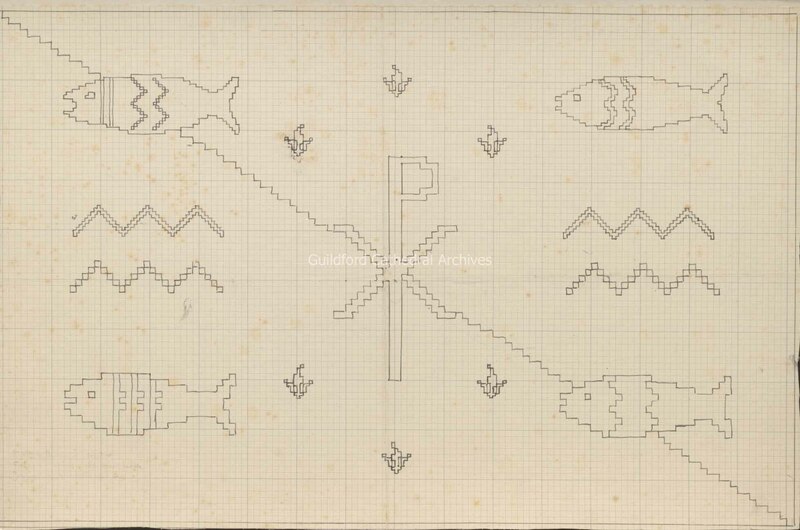 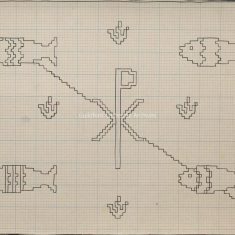 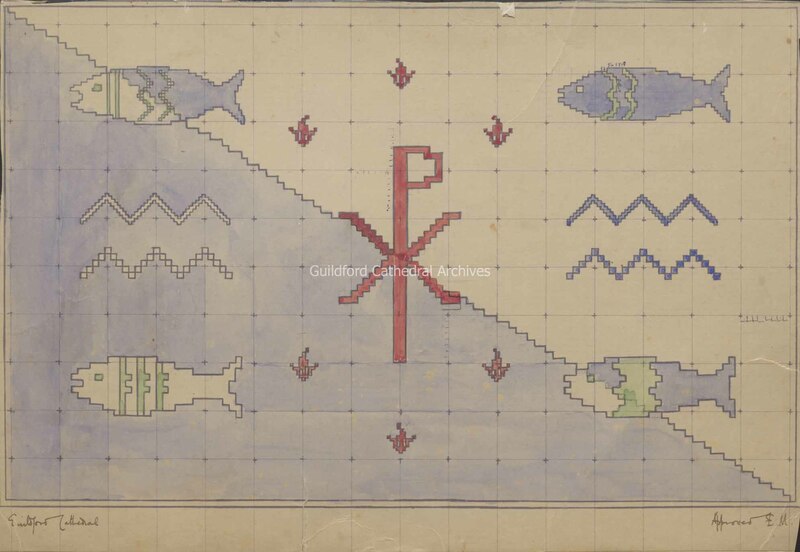 The design shows four fish interspersed with zigzag patterns and a central chi rho motif.